Hey! Big news! I have a new music project and its first album is done! 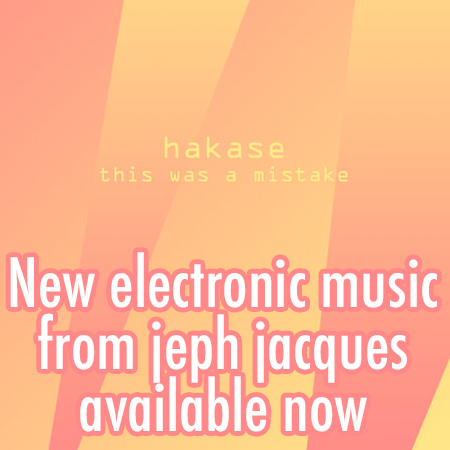 It's electronic techno-ish stuff, very different from the instrumental guitar stuff you might already be familiar with. Anyway you should check it out and buy it if you like what you hear!